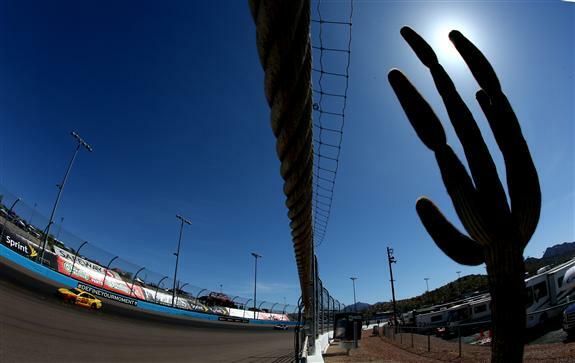 What to Watch For: Phoenix marks the penultimate race of the Chase for the NASCAR Sprint Cup and serves as the cutoff event to determine the Championship 4. The Chase Grid currently shakes out as follows: Jimmie Johnson (clinched Championship 4 berth with win at Martinsville), Carl Edwards (clinched Championship 4 berth with win at Texas), Joey Logano (one point ahead of Matt Kenseth on the cutoff line), Kyle Busch (+1), Kenseth (-1), Denny Hamlin (-2), Kevin Harvick (-18) and Kurt Busch (-34). … All six of the Chase drivers vying for one of the final two Championship 4 berths have won at Phoenix except Joey Logano. … Alex Bowman, from Tucson, Arizona, returns to his home state as a substitute in the No. 88 Chevrolet for Dale Earnhardt Jr. … Since the advent of electronic scoring (1993) the closest margin of victory in the NSCS at Phoenix was earlier this season (3/13/16) when Kevin Harvick beat Carl Edwards to the line by 0.010 seconds. What to Watch For: All four berths remain up for grabs in the Championship 4 heading into the penultimate race of the season at Phoenix. Daniel Suarez (17 points above Justin Allgaier on the cutoff line) sits atop the Chase Grid, followed by Elliott Sadler (+16), Erik Jones (+7), Blake Koch (+1), Allgaier (-1), Ryan Reed (-5), Darrell Wallace Jr. (-20) and Brendan Gaughan (-33). … Two-time NASCAR XFINITY Series champion Ricky Stenhouse Jr. returns to the series for the first time in three years in the No. 60 Roush Fenway Racing Ford. What to Watch For: Johnny Sauter goes for his third consecutive win. He is the only driver who’s earned a berth in the Championship 4 going into Friday’s race at Phoenix. Sauter leads the Chase Grid, followed by William Byron (five points ahead of Timothy Peters on the cutoff line), Christopher Bell (+4), Matt Crafton (+1), Peters (one point behind Crafton on the cutoff line) and Ben Kennedy (-13). … Timothy Peters’ visit to Victory Lane at Phoenix last fall is the only win by a Chase driver at the one-mile track. … NASCAR Next member Noah Gragson is scheduled to make his NASCAR Camping World Truck Series debut for Kyle Busch Motorsports.